Sadness is an inevitable occurrence in the span of our transient lives. However, many cultures throughout history have recognized that some people are inexplicably stricken with a persistent despair that has no particular cause or that is not proportional to the loss suffered. This condition is what we know today as depression. However, as Horwitz and Wakefield argue in their 2007 book The Loss of Sadness, the current DSM definition of depression also includes many people who are actually suffering normal sadness proportional to life events, rather than a mental disorder. This overly broad definition risks medicalizing normal sadness, because currently many people who have reasonable cause for their sadness fit the diagnostic requirements for the medical condition of depression. Horwitz and Wakefield distinguish between sadness proportional to a cause, which they posit is a normal human reaction, and persistent sadness without cause, which qualifies as depression. They criticize the DSM definition for only exempting sadness from bereavement, and that only for two months; they compellingly argue that many other life events (breakups, divorce, losing one’s job, a diagnosis of a serious illness, etc.) can also cause symptoms of depression without being a true mental disorder. 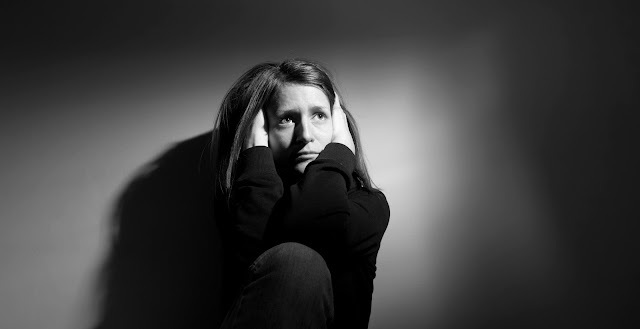 When these problems are overcome, many people recover emotionally; this suggests their sadness was not a disorder, but a proportional reaction to distressing life events. Moreover, many symptoms – such as tiredness or trouble sleeping – are common to much of the population, and may not indicate anything. Depression diagnoses have skyrocketed, especially with the advent of symptom-based questionnaires with broad questions intended to detect all possible victims of depression. Questionnaires are much cheaper to use than actual physician consultations, and arguably more objective, but their inclusiveness inevitably results in a very high number of false positive diagnoses. Ideally these initial diagnoses would all be reconsidered by a physician, but due to financial constraints, many are not. This overdiagnosis of depression can create many problems, such as unnecessary expense, stigma, change in one’s perception of self, side effects of drugs, and the increase of medical surveillance, even for people who may not be truly sick. Moreover, diagnoses in people who are not sick may reduce the medical care available to those who truly need it (156). The perception that depression is increasing and exists undiagnosed in many people has increased medical surveillance; for example, screening has become common in schools. However, as Horwitz and Wakefield point out, screening has not proven accurate; the loss of a romantic attachment is the strongest predictor for depression, but teens usually soon recovered from these emotions (159). Screening is often supported as a strategy to prevent teenage suicide, suggesting that depression is a social danger, but this too has not proven accurate. Some anti-depressants may even increase the risk of suicide or violence, potentially making depression an iatrogenic condition. Sadness is inevitable, but not necessarily desirable. Although many hypotheses exist for why humans have evolved to feel sadness, the question also remains as to whether there is any useful function of sadness in today’s world. Normal sadness is not a medical disorder, but this does not necessary preclude it from medicalization. Many other natural life occurrences, such as death, birth, aging, and menopause, have also been medicalized because people prefer to reject them or wish to experience them in a different way. The argument for clarifying the definition in the DSM is compelling, but even if depression is reconceived in narrower, more accurate terms, the specter of medicalized sadness under a different name still remains. It is easy to imagine the marketing of anti-sadness medicine, and easy to understand its temptation. Like mental enhancement drugs, drugs to treat normal sadness may offer the choice to improve oneself through medicine. But this improvement may come with costs. Soma is an antidepressant and hallucogenic drug with no harmful side effects – “All the advantages of Christianity and alcohol; none of their defects.” There is no sadness in this society, but no love, no intellectual or creative pursuits. Sadness is considered deviant, and characters urge each other to take soma when they seem even a little glum. When a character accidentally forgets her soma during a stressful visit to a reservation (where people live as they do today), she can barely function without it. Huxley’s novel implies that sadness is a necessary part of the human condition, and that life is meaningless without it. Soma is an escape, not only in the most literal sense that it provides a hallucinatory break from life, but it also is an escape from life’s problems, from life’s difficulties, which give our lives meaning. In his 1958 nonfiction Brave New World Revisited, Huxley concludes that our world is moving towards that of his dystopian novel faster than he had anticipated. Horwitz and Wakefield conclude that “if they find that their lives seem brighter when they are medicated, a belief in autonomy and free choice dictates that people should not be prevented from seeking that relief from a responsible physician” (192). But the consequences of making treatments for normal sadness available could be widespread. If it becomes common to treat sadness with drugs, then normal coping networks of friends, family, religion, spirituality, and so on, might disappear. Deviancy and normality could be redefined so that one might not have a choice about how to cope with one’s sadness. It could become socially unacceptable to be sad, taboo to grieve. Autonomy and free choice are worthy goals, but medicalization is often a process invisible to the public, which then results in a structure that seems so natural that few question it. And once in place, the medicalization of a condition may be supported by the authority of the medical profession, societal norms, and even the government. Horwitz and Wakefield present a compelling argument to tighten the definition of depression to exclude those with normal sadness. However, the issue of medicalizing normal sadness as something different from depression still remains. The medicalization of normal sadness has the potential to not only make another option available to people, but also risks causing a fundamental shift in the way sadness is understood, which would affect everyone in society.